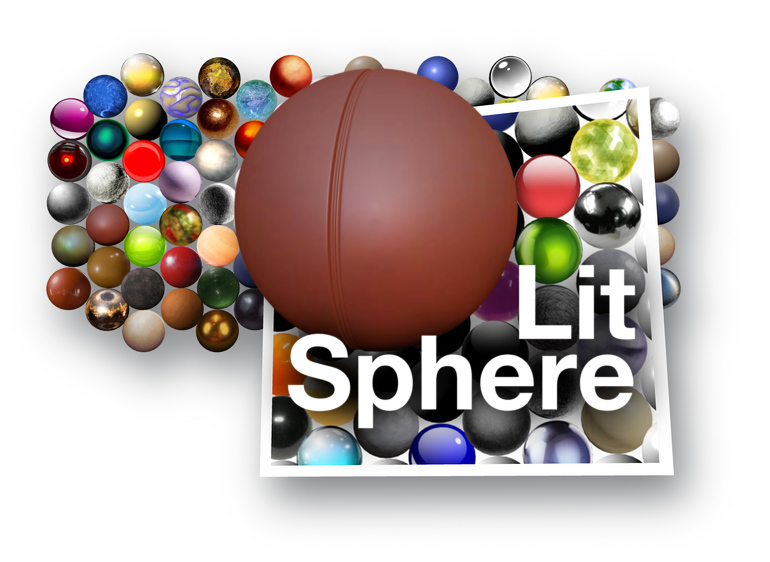 Lit Sphere 3D (3LS) is a material that uses a sample image of a sphere to define shading, allowing for a wide range of shading styles with minimal input. It’s based largely on the 2001 paper of Sloan et al. This technique also goes by the name “matcap” in some applications. Not only is it very fast, it has very few controls. 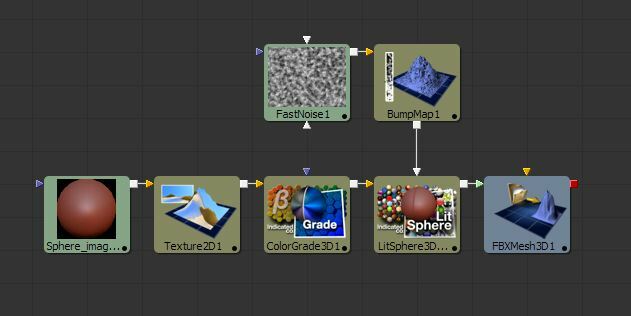 Nearly all of the “settings” for the material come from the input texture/material. You can scale the input image up or down to fine tune the fit, as well as roll the image to change the orientation of the shading. You can also choose between using normal or reflection vectors. At a minimum, you just supply an input image and connect to your geometry. 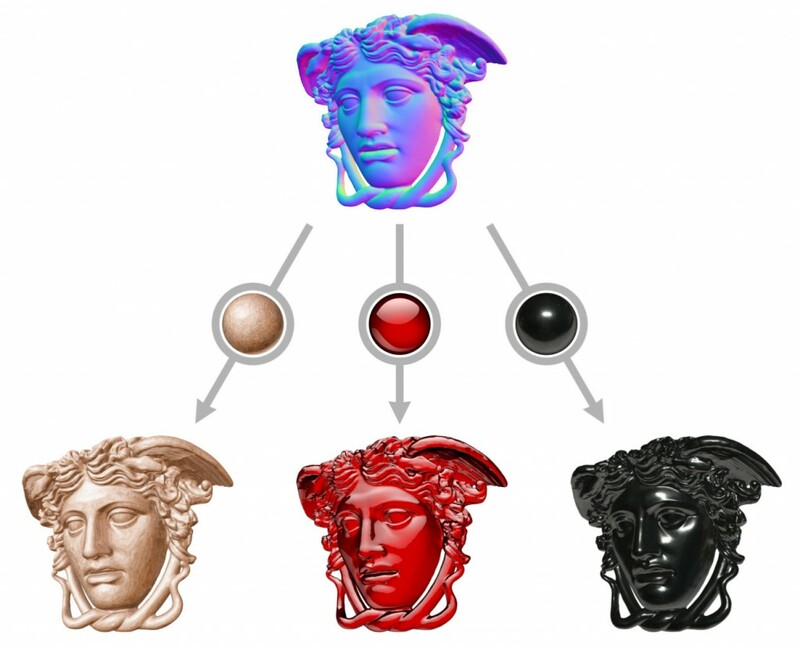 The Lit Sphere Input can be an image, mask, or material. An optional Bumpmap Material is provided to allow additional normal perturb to be added to the geometry, or to allow normal passes to be shaded on image planes. Setups can be very simple. 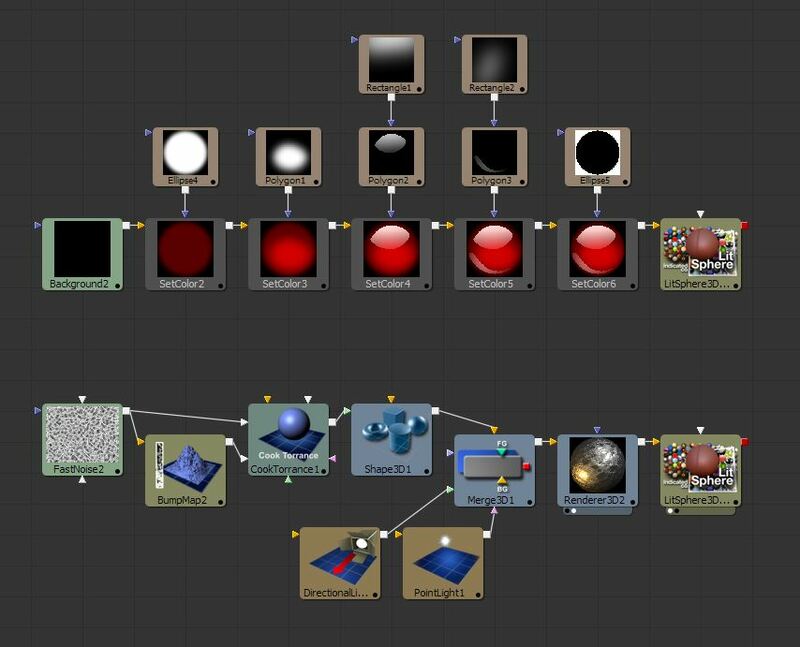 Input lit spheres can be modified as images or materials before use. Bumpmaps can be used to add additional normal detail. Left: Geometry normals only. Right: Bumpmap adds detail. Normal passes can be used to shade image planes. 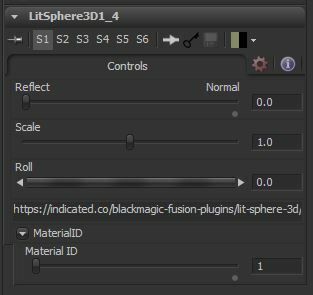 In addition to loaded images, lit spheres can be painted or created from renderings of spheres directly in Fusion. Top: Painting a lit sphere by hand. Bottom: Using a rendering of a sphere to simplify a material. Use photographic or handmade sphere images to define a shading function. Mimic existing surfaces or create a non-photorealistic look. Import materials from other 3D applications. Apply shading to normal map images. Extremely fast shading with no lighting setup. Use view normals or reflection vectors to define mapping.